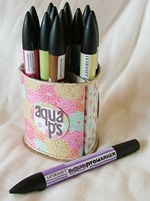 Quirky Boots » Forum Rules » Introduce Yourself » Hello from a newbie! Hi all, I found your forum through Spyder and am looking forward to joining in on the challenges and getting to know some of you better. To let you know a little bit about myself, I am married with one son, Alex, who is 2 and very much the apple of his Mother's eye, despite the terrible twos! I work full-time to support the family as my husband has ME and cannot work. I love scrapbooking, cardmaking, ATCs and inchies and have recently delved into the world of Altered art. 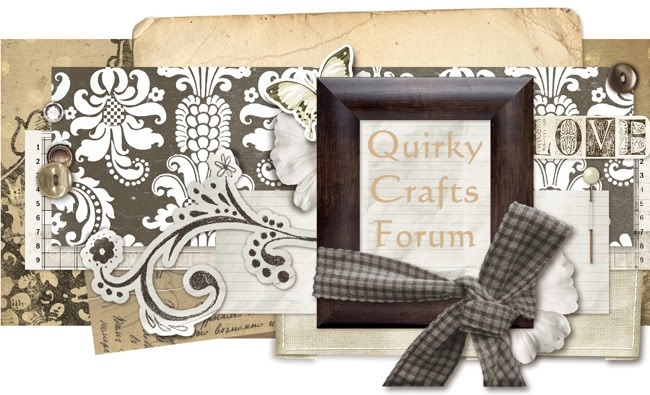 Hi Caro and welcome to Quirky Crafts. It's always lovely to see new members on board. Make yourself at home and if you need any help with anything please shout. Hi Caro, welcome to the forum. I'm new to crafting so have to ask - what are/is inchies??!! I've only just understood ATC's so this is a whole new language!! Hi Caro, welcome to the forum. I know you from CM&P. Hi Caro - welcome to QC forum. Lots going on for you to try out. Hi Caro and welcome to QC I know you will love it here. Look forward to getting to know you!! Hi Caro - welcome to our friendly forum. Sounds like you're a very busy person, but hope you have time to join in the challenges. Look forward to seeing you on here again. Thank you for the warm welcome everyone. You are quite right, I am busy and crafting is my outlet and I love doing challenges so hope to join in with the challenges and swaps on here. Sadly I don't often have a lot of time for chatting as I use what little time I have for crafting, but I will try and join in where I can. In answer to the question about inchies, they are like ATCs and are often swapped or added as embellishments on cards, however, they have to be one inch square. They are great fun to make and a good challenge. You could enter inchies in the weekly challenge if you like, it is any craft now. Ere Elaine, what happened to that pretty photo of you, got the cake back now? Hi There! Nice to see you on here. 16 Re: Hello from a newbie!